The management of the Federal University of Technology Akure, FUTA, Ondo State, on Tuesday called parents and candidates seeking admission into the institution to be wary of fraudsters who parade themselves as its officials. 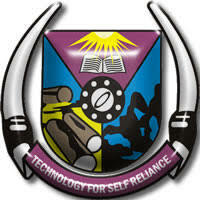 In a statement by its Deputy Director Corporate Communications & Protocol, Adegbenro Adebanjo, FUTA said: “The attention of FUTA has been drawn to the activities of fraudsters and some unscrupulous elements who are parading themselves as officials who could influence admission or augment scores of candidates in the Post-UTME Screening exercise. Nothing could be farther from the truth. “The admission process is merit driven and only qualified candidates will be considered for admission.” Therefore, members of the public should be wary of the activities of such fraudsters and their accomplices.